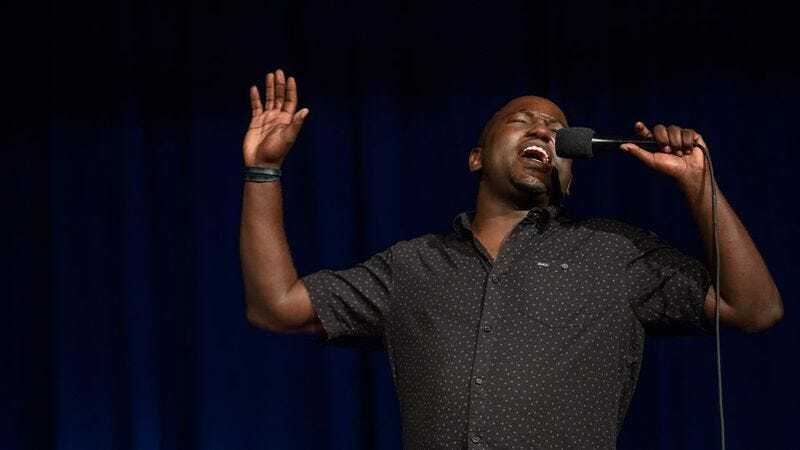 These days, comedian Hannibal Buress spends his time walking into Katz’s Deli in New York and arguing with the employees until they let him pay with his Samsung phone, but in 2013, he was just an up-and-coming comic trying to make a name for himself at Scotland’s Edinburgh Festival Fringe. This period of Buress’ life is largely a mystery, even to Buress scholars who have skimmed his Wikipedia page, but now a new Netflix documentary will delve into Buress’ time in Scotland to give us a glimpse of who the comedian was before he said all of that stuff about Bill Cosby. Titled Hannibal Takes Edinburgh, the “comedy documentary” was filmed over the course of 28 days in 2012, and it will feature “extended moments from Buress’ pin-sharp observational stand-up” alongside scenes of him “waxing philosophic on building his comedy routine, life on the road for a comedian, and immersing himself in the Scottish culture.” Buress’ latest stand-up special, Comedy Camisado, premiered on Netflix back in February, and Hannibal Takes Edinburgh will debut on April 8.